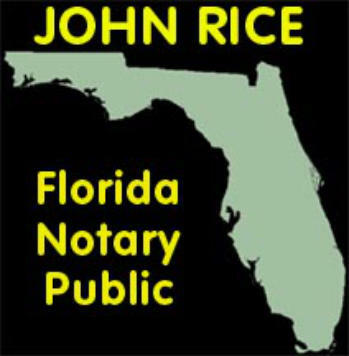 Are you looking for a Notary in Tampa, Florida? No trip charge for Temple Terrace City Limits. Each Notary Seal Required is a cost of $10 Trip Charge for Mobile Notary Services $15 to $50 depending on your location We do notarizations at your home, All North Tampa Hospitals, USF or your workplace. Package prices available for large documents like Mortgage documents, family wills and living wills on an hourly basis including trip charge. Call for a quote. Acknowledgments - A Notary Public is authorized to take the acknowledgments of deeds and other instruments of writing for record, as fully as other officers of this state. Notarize Your Signature- A Notary Public is authorized to examine your identification and certify you have signed various documents including but not limited to… • Cloud Based Employment Papers (W-9 and Employment Applications) • Out of Town Apartment Applications • Witness Statements and Court submissions signed for out of town proceedings. • Mortgage Documents for out of town closings. Administration of Oaths - A Notary Public may administer an oath and make a certificate thereof when it is necessary for the execution of any writing or document to be published under the seal of a notary public. Affidavits - A Notary Public can stamp your preprinted affidavit when you sign. Attesting to a Photocopy - A Notary Public may attest that a photocopy is the same as the original document shown to the Notary. Verification of a VIN - A Notary Public may verify the VIN number of an automobile. Passport forms for Kids - We are familiar with the process of securing a passport for children if you are not the custodial parent. Minor Consent Forms - We have a standard format Minor Consent Form if your child is traveling with noncustodial parents with approval to travel and authorization to approve medical care. Destination Weddings - We provide assistance with the documents required for a destination wedding. We do have a high speed connection, laser printers, legal sized paper, fax services and email services; if you need to receive and print the document you need notarized. Time charges for receipt or a per page printing charge may apply in addition to standard state approved notary fee. Proper ID is required for Notary Services I am not an attorney licensed to practice law in the State of Florida. I do not offer legal advice, prepare forms or accept fees for legal advice. We provide reasonable accommodations to provide notarial services to persons with disabilities and the blind. Proper ID is required for Notary Services I am not an attorney licensed to practice law in the State of Florida. I do not offer legal advice, prepare forms or accept fees for legal advice. I am unable to provide counsel or advice to borrowers or sellers. Communication link and Title or Legal personnel must be available at time of closing. I do provide reasonable accommodations to provide notarial services to persons with disabilities and the blind.